5 Minutes Fruit Cream Recipe - NO Milk NO Cream Needed!! See how to make fruit cream at home without using cream or milk. 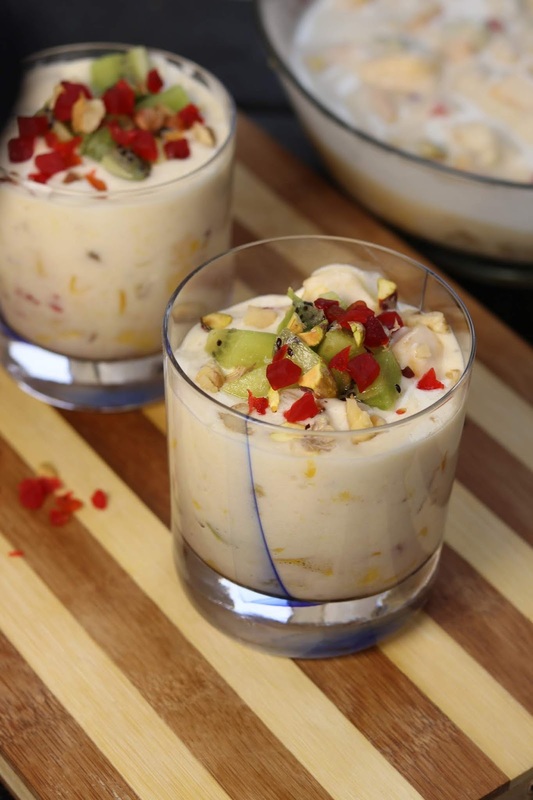 Fruit cream is a quick 5 minutes dessert recipes which tastes best when served cold and chilled. Kids loves to have this simple dessert recipe. 1. Soften the ice cream at room temperature. Add in all the fruits along with nuts and tutti frutti. Mix together and keep in the fruit ice cream together and keep in refrigerator for 3-4 hours till cold and chilled. 2. Once chilled, serve immediately. 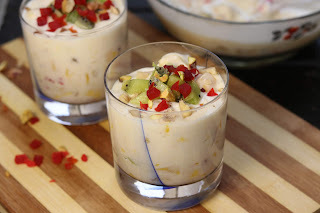 Garnish with few chopped nuts and tutti frutti along with chopped kiwi.